Posted by Julie Shadburne on Thursday, May 8, 2014 in News. The Center for Teaching offers a variety of programs to meet the needs of instructors at every stage of their teaching career. From graduate students entering the teaching ranks to senior faculty fine-tuning their craft, all instructors will find participation in Center programs an avenue for exploration and discovery in a collegial setting. • a specific humanities discipline as part of a liberal arts curriculum on small, private and/or historically black campuses. 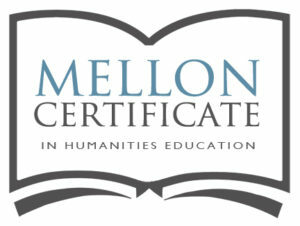 To earn the Mellon Certificate in Humanities Education, participants must complete both the Mellon Seminar and the Mellon Practicum. The first section of the Practicum will be in spring 2014.